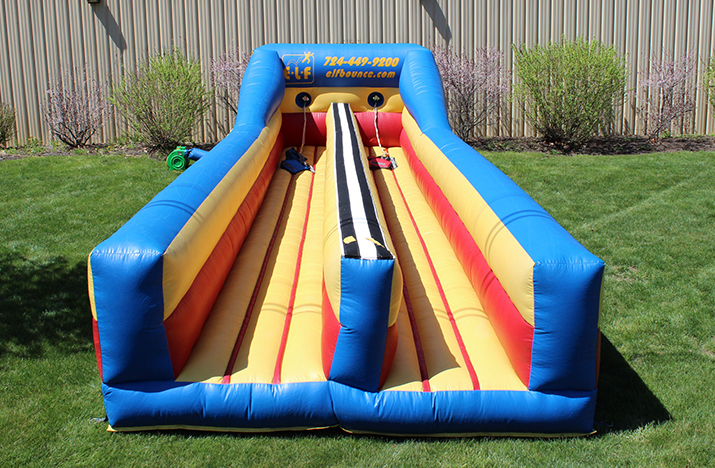 This exciting inflatable provides head-to-head competition in an exciting format. The Bungee Runs are over 30 feet long. Two racers compete on a double “track” to run the farthest before being pulled back by the bungee cord. This two-person attraction is the perfect inflatable for any type of event.